Eventually, stand-up paddleboards were going to transcend the mainstream and be applied to a whole host of unusual pursuits. Among the activities they’re now regularly used for: yoga, winter whitewater rafting, “Supball” (think water polo on a board) … even crossing the Atlantic. But how about integrating it with something a little more useful? 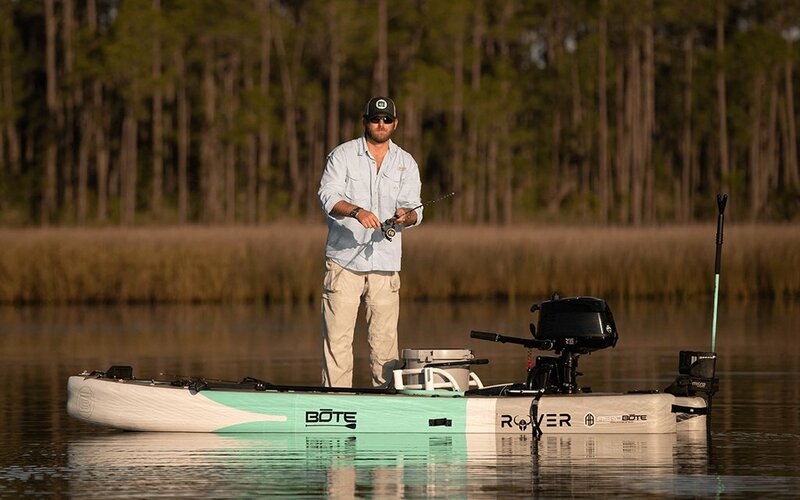 That’s where Bote comes in, and their new Rover Aero Paddle Board. 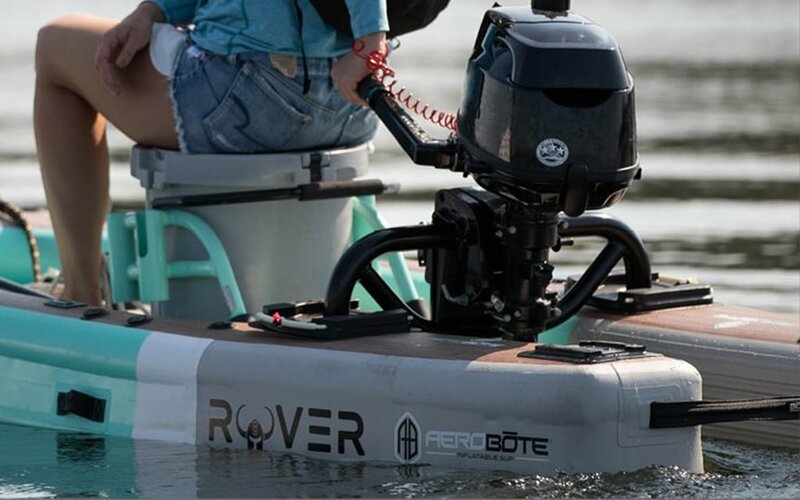 The Rover is both inflatable and motorized, offering you a chance to log a sunrise workout on the lake, fish for some trout and then head home without lifting a finger. How does it work? For starters, it’s hefty. It stretches out to 12’6, can hold up to 500 lbs. and inflates via a rechargeable electric pump — expect two or three inflates/deflates on a single charge. It manages to retain its rigid shape thanks to drop-stitch technology, an intricate process involving military-grade PVC threads. If it ended there, the Rover would just be a strapping, highly capable paddleboard. 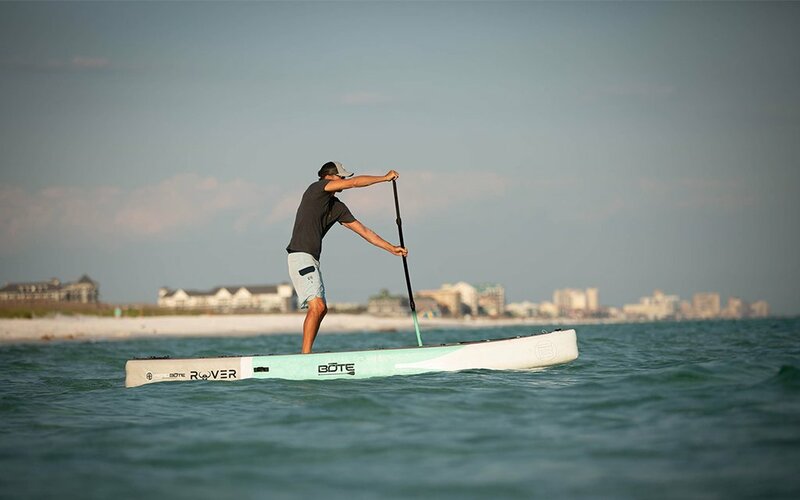 But that’s when you get to the integrated Moto Rac, an aluminum rack that connects with built-in receivers at the back of the board to allow for easy insertion of a 6-HP Hidea motor that’ll boost a SUP board around at up to 16 MPH. The rest is up to you. 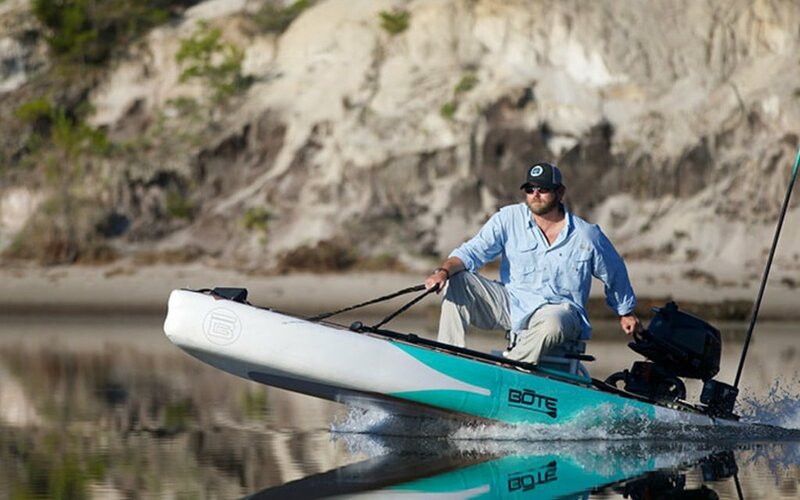 Paddle, cruise or find a good spot to fish for the day (they also sell an anchor accessory). Priced at around $2,500, the board comes with a travel bag, paddle, pump and fin. You’ll have to buy the motor separately, but will save an arm and a leg compared to the price tags for other, “real” boat options on the market.